If you divide $2,5 million with 80 Members of Parliament you will get $31,250. 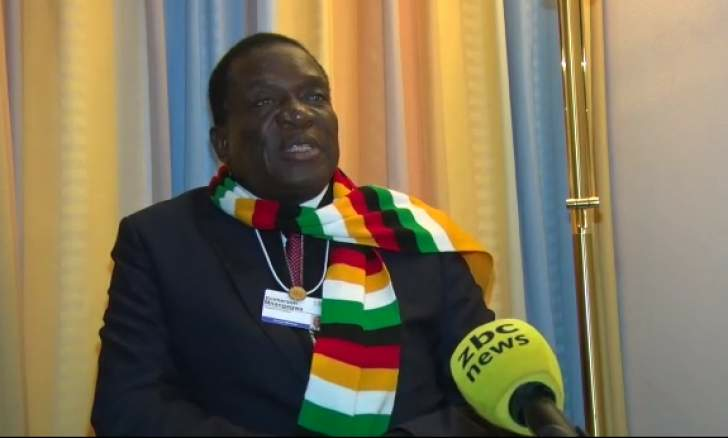 It means that, if ED is not going to Davos via other four countries to attend an economic forum between 22-25 January 2019, he will be able to save money that can buy 80 twin cab – rangers for MDC Alliance MPs. This piece seeks to advise MDC alliance and citizens that MPs deserve to be given their cars (equivalent to the total cost of ED's trip to Russia-Belarus-Kazakstan-Azerbaijan-Davos). The trip is not only unnecessary but also immoral in the light of the bleeding economy. For President ED to hike fuel prices (in the middle of 'January disease', before salary payment, when parents are struggling to pay tuition fees) portrays a dirty image of ZANU PF as a party. I can now agree with the foxes who believe that ED was forced to cut short his holiday in order to attend the Davos' World Economic Forum between 22-25 January 2019. Because of a partial shutdown currently affecting the United States of America, President Trump promised not to go to Davos if a solution to the shutdown is not found on time. In Tanzania, we are told that President Bulldozer Magufuli has been refusing to attend world conferences in order to save money for the citizens. It is true that the Zimbabwe's economy has collapsed, what we are experiencing is a typical shutdown of the economy. President ED should stay at home and come face to face with the consequences of his more than 200% increase of fuel prices with effect from the midnight of 13/01/2019. President ED does not have people at heart, imagine a servant leader increasing fuel during the peak of 'January disease'. If President ED was not a cruel leader, he should have increased the fuel prices after paying salaries for civil servants. Please, I want you to have a moment of silence (23 seconds), ask yourself deeply on the rational (of ED) to increase the fuel prices by more than 200% at the peak of 'January disease'. To Mr. President ED, I am asking you to withdraw your fuel prices increase, this is the first time in the history of colonial and post-colonial Zimbabwe for a president to increase fuel prices in the middle of 'January disease'. Mr. President, civil servants are complaining of being incapacitated, your move is going to place civil servants in ICU. Mr. President, you have broken a World-Record, it has never happened in the world for a president to increase fuel prices in the middle of 'January disease'. There is no difference with operation Murambatsvina that was done during the peak of winter. It is obvious that making people feeling the heat/sufferings is a ZANU PF slogan. To Mr. Nelson Chamisa and his team, there is no need for stopping your MPs from getting their cars. The MPs should be respected and are also human beings. I would have agreed if every Zimbabwean is playing a part in saving money. President is going to Davos (soon after hiking fuel prices at the peak of 'January disease') just to burn the remaining forex reserves while civil servants are incapacitated. I believe that the trip to the five countries will cost more than $2,5 million (unless otherwise). Can Zimbabweans afford to allow Mr. President to waste limited resources at this hour? Our leaders are telling the citizens to persevere while they are in honeymoon. Mr. Nelson Chamisa, our current leaders are hardliners, how can a rational president hike fuel prices in the middle of 'January disease'?. Please, allow your 80 MPs to get their loan and serve the Zimbabweans before the cash is taken to Davos. I am therefore requesting the Zimbabweans to join me in condemning ED's trip to five countries at the time when $500 thousand is significant for buying medicine to serve the citizens. Zimbabwe is experiencing an economic shutdown and ED should be with us during this trying time. It won't be good for ED to cut short his Davos trip in order to solve problems at home, civil servants are threatening to strike during the period matching with the Davos forum and ED should solve this threat in advance.